When starting out with packet I found it difficult to find my way. Several resources exist online but all seem to assume some basic level of understanding, which I clearly lacked. I have to admit here, I’m still new to the mode myself so my please forgive any errors. This article could also be titled “packet walk-through” or “the packet guide I wish I had when starting out”! 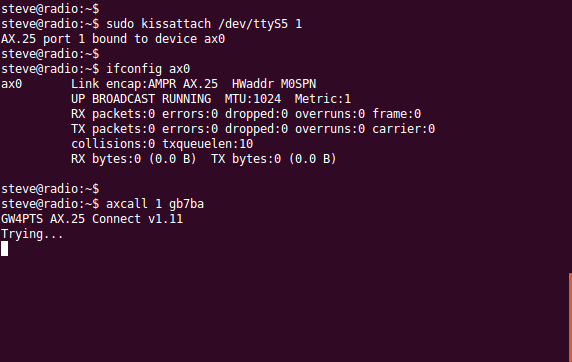 The above image shows association of the KISS TNC with a serial port, output of ‘ifconfig’ listing the status of the interface and a request for Linux to ‘axcall’ my local node, GB7BA. GB7BA is located in Bampton, Oxfordshire and is accessible from Swindon on 2m (144.950MHz) and 70cm (432.675). 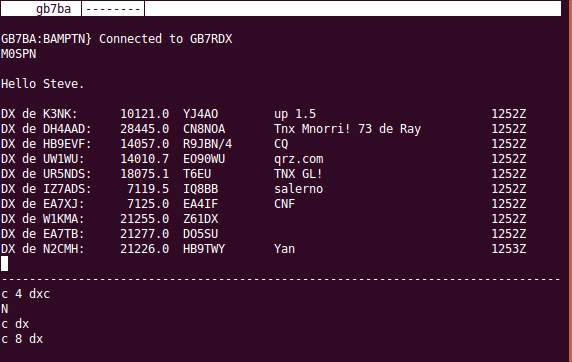 NOTE: If not using KISS mode, you’d connect to your TNC via a communication package (typically Minicom in Linux or Hyperterm/Putty under Windows) then issue a ‘c gb7ba’ from within the interactive TNC session. From this point onwards all steps are identical regardless of connection mode. We’re connected to GB7BA! The data continues to arrive and some handy shortcuts for connection to popular nodes are listed. At this point you can simply type ‘help’ or ‘/h’ for basic help. 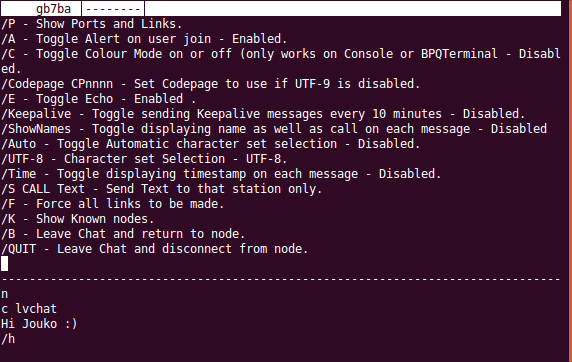 Commands typed typically appear in the bottom part of the window, responses from the remote station appear in the larger section above. 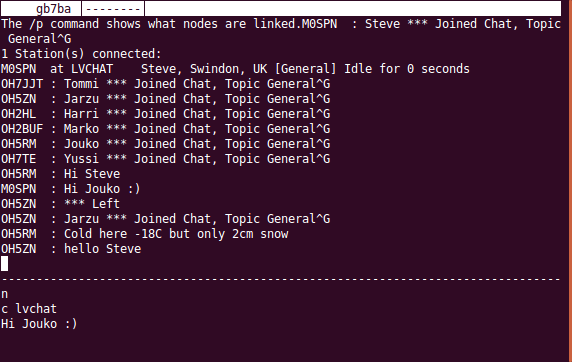 I issue an ‘n’ command to list attached nodes, followed by a ‘c lvchat’ to connect to a chat node (which was previously listed under the nodes returned). 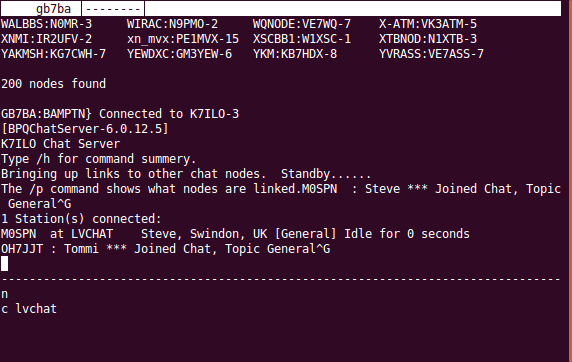 Chat nodes are typically all connected (BPQ Chat?) so the exact node is not important here, although a local node would be better. After this, I type ‘/QUIT’ or ‘/B’ to disconnect. 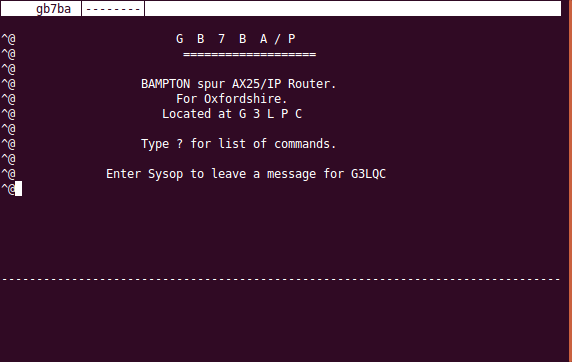 I then reconnect to GB7BA but this time issue the command ‘c cowbbs’ to connect to my home BBS. COWBBS (actually GB7COW) is located in Devon, England – the county where I grew up, hence me choosing this as my home BBS. Your ‘home’ is where packet emails addressed to you are delivered. The above shows the connection to ‘dx’ (actually an alias for GB7RDX) and the DX spots slowly flowing in. One resource I did find particularly useful was Larry WB9LOZ’s Introduction to Packet, in particular the ‘TNC Commands’ (for those not using KISS mode) and ‘BBS Commands’ for a more thorough walk-through of the BBS basics. 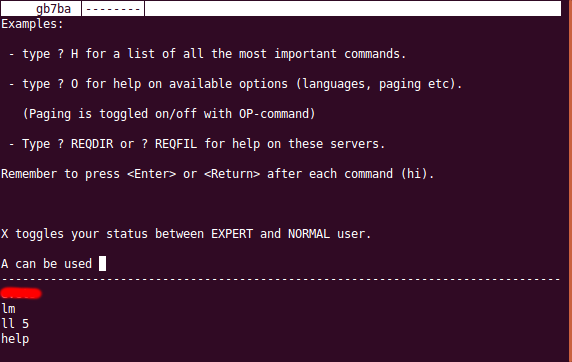 Just be aware that some of the commands he mentions may not be valid on certain BBSs. Also, whilst I’ve used ‘axcall’ under Linux (or suggested new users use an interactive session on their TNC) there are software packages available which offer more functionality. 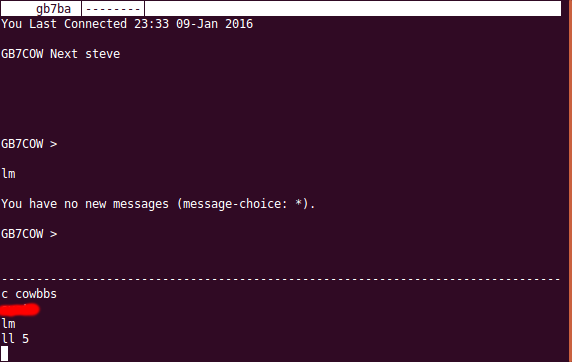 Winpack (Windows), Linpack (Linux) and AmiCom (AmigaOS) all offer extended functionality, multiple sessions etc. However, in the case of Linpack (Winpack clone) I found the interface a steep learning curve in itself; I assume Winpack is similar. If you’re looking for a fully functional and easy to use client (and have an Amiga; if not why not? 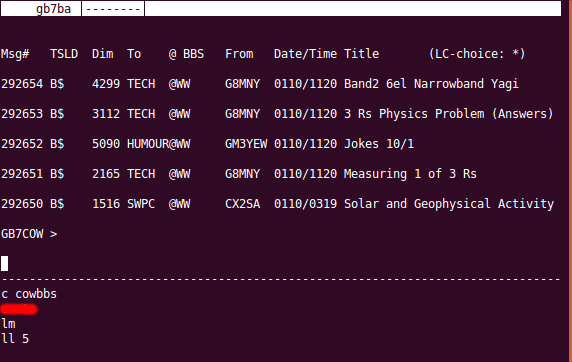 ), I can highly recommend AmiCom by Gerhard Loder DL3MGQ. Much of the above may seem simple but as a new user I found it totally baffling. If I’ve misunderstood or otherwise made errors please feel free to leave a comment either here or via my packet mailbox: M0SPN@GB7COW.#44.gbr.euro. This entry was posted in Uncategorized and tagged AmiCom, Amiga, BBS, chat, dxcluster, KISS, Linpack, linux, packet, TNC, Winpack. Bookmark the permalink. Figuring this all out for myself, while trying to keep to a budget. Thanks for the post! I’m having a bit of an issue trying to come across a TNC anywhere similar to what you’re using. 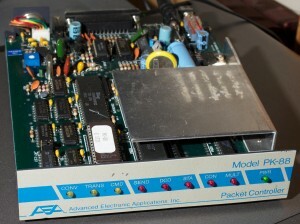 You posted before this entry about the TNC-Pi. Would I be able to use that in place of the PK-88 that you have running?